ACM PASC16 – Call for Papers – due in less than two weeks! ACM PASC16 is the third conference that was initiated by the Swiss Platform for Advanced Scientific Computing (PASC). The PASC Conference is an international event for the exchange of high-performance computing competences in computational science. PASC16 will bring together talented scientists from diverse backgrounds (such as Climate, Solid Earth, Life Sciences, Materials, Physics, Mechanics and Engineering, Mathematics, Computer Science, and Emerging Domains) to creatively reflect on their field, and promote exchange of expertise in HPC and interdisciplinary collaboration. We believe that this conference represents a rare opportunity to have domain science heard within a computer science context. 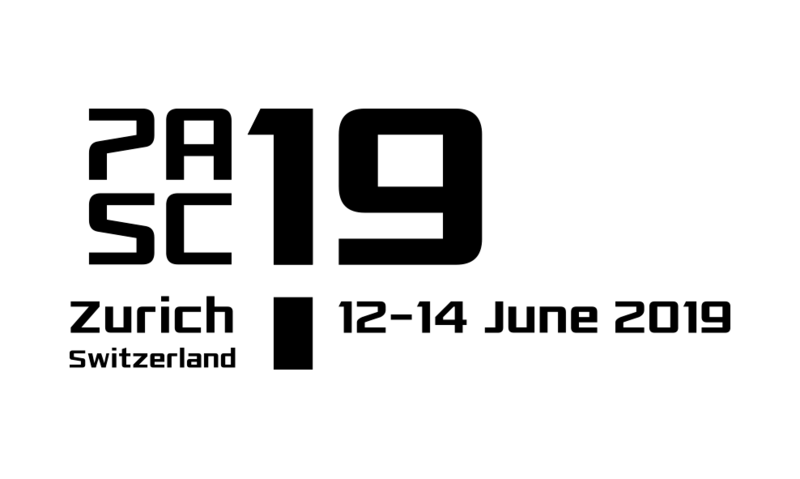 The major news regarding PASC16 is the introduction of the first technical papers session into its program, which already includes plenary sessions; a public lecture; minisymposia and contributed talks; poster sessions; exhibition booths and inter-PASC Communities discussions. The previous two PASC conferences were strong and attracted more than 350 attendees. In view of providing a high-quality offering to the scientific community, we built a small board of leading editors that will be supported by a larger pool of reviewers in each area. The select group of board members will guide the paper selection using external experts selected specifically for each paper. The paper selection process is different from standard conference procedures. It combines the strengths of a conference publication (timely dissemination and solid selection through in-person TPC meetings) with the strengths of journal publication (dialog with the reviewers through revision and targeted reviewers). The submission will consist of two stages: a paper is submitted to stage 1 and will be reviewed by a committee selected by the area chair. Then a preliminary decision will be made and the strongest papers will continue to the next stage of the selection process. The authors can then revise their work marking the differences to the first submission. The committee (potentially extended with experts in the specific field) will then consider the revision in a second review stage where a final decision will be made. All stages are aligned with a strict conference submission schedule to ensure timely dissemination that the authors can rely on. The Platform for Advanced Scientific Computing (PASC) is inviting submissions for the Papers Session of its next conference (PASC16) cosponsored by the Association for Computing Machinery (ACM) and SIGHPC to be held from June 8 to 10, 2016 at the SwissTech Convention Center, located on the campus of the EPFL in Lausanne, Switzerland. Authors should first submit an abstract for their paper; the abstracts will not be reviewed but are necessary for logistical reasons. Authors will be invited to submit their full paper (pdf) shortly after abstract submission. These papers will undergo a first round of review, and the strongest papers will be selected for a second round of review. Authors will have the opportunity to revise their manuscripts based on feedback prior to the second round of reviews. Submissions will be evaluated double blind (authors should not be listed in the (pdf) paper; references to own previous work should be in the third person). Papers should be in the ACM proceedings format  and should be no more than 10 pages in length (including everything besides references, for which there is no limit). We suggest using “An Author”, “Another Author”, etc. in the ACM templates, and leaving affiliations and contact details blank. The review process is organized in tracks. The editor of each track selects appropriate reviewers who are experts in the relevant area. The editorial board will attend the selection meeting in person and each paper will be discussed in detail. We believe that this new review process bridges the gap between journals and conferences and combine the benefits of both. Timely dissemination is most important in computational sciences where software moves fast. All papers will be published and archived in the well-known ACM digital library with ACM quality standards. Contributions are to be submitted using the PASC16 online system.